As much as you might not want to hear it, our surprisingly sunny summer is drawing to a close and autumn is just right around the corner. With the metrological autumn commencing on the 1st September and the astronomical on the 23rd September, whichever way you look at it, now is the ideal time to commence preparations for getting your garage ready for autumn, its elements and the proceeding winter months. Preparing your garage for autumn and winter is strongly advised for a number of reasons. Firstly, you want to keep any bad weather out of your garage, especially if it houses your vehicle or if it is used as storage for your possessions. Secondly, it’s cold, windy and rainy… would you want to be sleeping outside? No and neither do animals, critters, pests and bugs. In the winter many of these will try and make their way into your garage for shelter which isn’t ideal if you regularly use your garage for working, DIY or again, storage. Also, similarly from keeping out the cold, rain and snow, weatherproofing your garage will keep out any dirt that you don’t want to contaminate your possessions, workspace or vehicles. The first and foremost task of your autumnal preparations is to check that you have a fully functioning garage door. As obvious as this might seem to some, many people unfortunately forget this part and then are left with a frozen garage door in the depths of a snowy December. 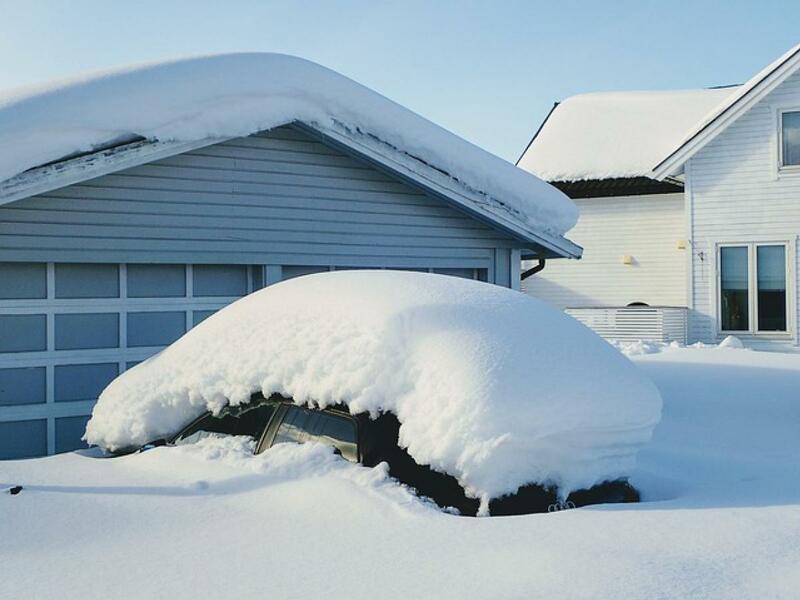 If you are experiencing any issues with your garage door at the moment, even the most minor of inconveniences will be heighted as winter progresses due to the cold, rain, ice and snow. All of these weather elements could have a significant impact on the performance of your garage door and its motor due to potential rusting or freezing of the equipment, more so if they are already showing signs of wear, tear or just being generally problematic. Your garage door and garage door motor must be easy to operate, reliable and fully functioning and if not, now is the time to correct these issues to ensure that you can access your belongings and you are be able to get your vehicle in and out of your garage throughout the entirety of autumn and winter. After inspecting, prepping or replacing any faulty or broken garage doors and garage door motors, your next step and possibly the most important for garage insulation, heat retention and keeping the elements out is to install well-fitting garage door seals, garage floor seals and brush strips. Garage door weather stripping top and side seals are single-handedly the most successful quick-fix solution for draughts in homes, carports, garages and sheds – and pretty much everywhere else. You can conserve endless amounts of energy in any home, garage or outbuilding through the use of high quality garage door brush strips and door seals that act as a form of garage door insulation by closing up any gaps that you may have around doorways and windows, which is just what you need when looking to keep the autumn and winter weather elements OUT of your garage! Another thing that garage door seals and rubber floor seals will help to keep out of your garage are pests, insects, bugs… you name it. Rats, spiders and bugs want to escape the blistering cold of winter, just like we do, and any gaps that you might have around you garage door are like a big welcome sign to these pests. Closing up these welcoming gaps into your nice warm, insulated and weatherproof garage will halt any unwanted visitors from making their way into your garage, which will inadvertently stop them from being able to nibble or cosy up to your vehicle or any items that you may be storing in your garage! If you use your garage as a workshop or for storage for possessions that could be damaged by damp, it could be worth introducing a source of heat into your garage. This doesn’t necessarily mean that you have to fork out for a full fitted heating unit; it could be as simple as bringing in your portable electric heater. Similarly you don’t need to have the heating on constantly and racking up a significant electricity bill. Turning on your portable heater for a couple of hours per week, or whilst you are working in the space, will be enough to keep your garage bearably warm and help to keep damp at bay. For the same reasons as above, if you are storing precious items in your garage or using it as a work space, you will want to do your best to waterproof and damp-proof your garage in a bid to eradicate damp and any mould forming. A quick and easy way to do this is to paint your walls, especially any brick work, with a specialised waterproof sealant, the most common being tanking slurry. Tanking slurry is a simple two-step coating that you can paint onto any brick, concrete or stone walls to waterproof and damp-proof the surface. Such sealants can also be used as an effective garage floor sealer. As a leading UK garage door seals and brush strips supplier, JA Seals have everything you need to get your garage ready for autumn and keeping it well protected through winter. If you are interested in any of our garage door seals, rubber floor seals, sealants or weatherstripping products, get in touch today and we will be happy to help!